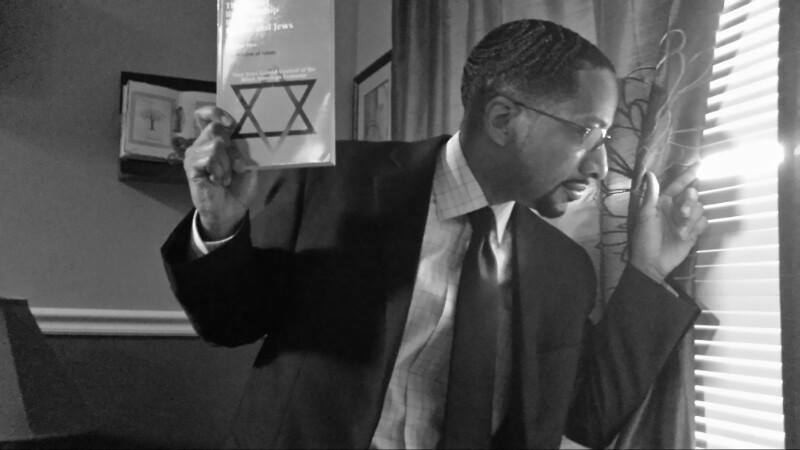 In 2018, the Jewish leadership stepped up their racist campaign to destroy the reputations of Black leaders who no longer accept the political manipulations of Jewish money. 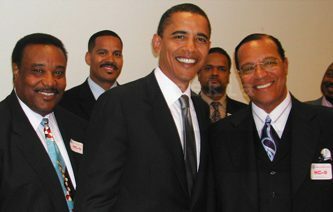 It started many years ago, but the latest incarnation began with the recent publication of a 2005 photograph taken by journalist Askia Muhammad showing Senator Barack Obama happily posing for a photo with The Honorable Minister Louis Farrakhan. Arrogant and overreaching, Jews demanded to know why they hadn’t been told of the photo, suggesting that knowledge of it would have changed the course of American history and even doomed the chance to elect Obama as the first Black president. So Jewish leaders, in their utter madness, have established an absurd criterion they demand Blacks comply with: ANYBODY who has been in a room with The Honorable Minister Louis Farrakhan MUST be condemned, disgraced, and lose their jobs. And it escapes no one’s notice that ALL of their targets are Black—none are white. Driving the Jewish onslaught are such con artists as “lawyer” Alan Dershowitz, the ADL’s spymaster Jonathan Greenblatt, political hack Ari Fleischer, and news actor Jake Tapper. How unsurprising that all of their megaphones fell silent at the exposure of a photo that Jews have been keeping secret for more than 20 years! 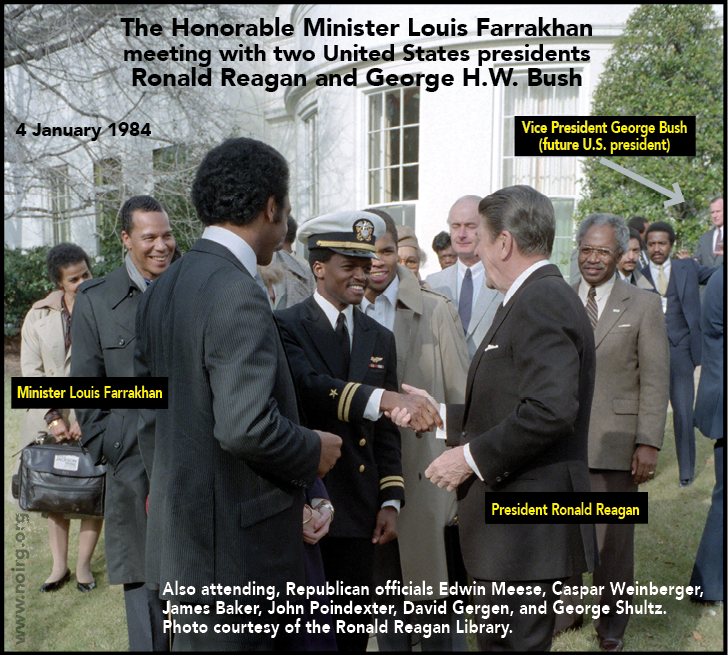 The photograph shows The Honorable Minister Louis Farrakhan as a guest at the White House in Washington, DC, at the invitation of the father of the modern REPUBLICAN PARTY, President Ronald Wilson Reagan! 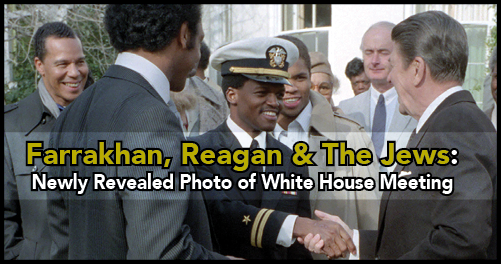 Several photographs were taken of the January 4, 1984, event, which was a celebration of the release of navy pilot Lt. Robert Goodman, a Black man who had been shot down flying a bombing mission over Syria. The Rev. 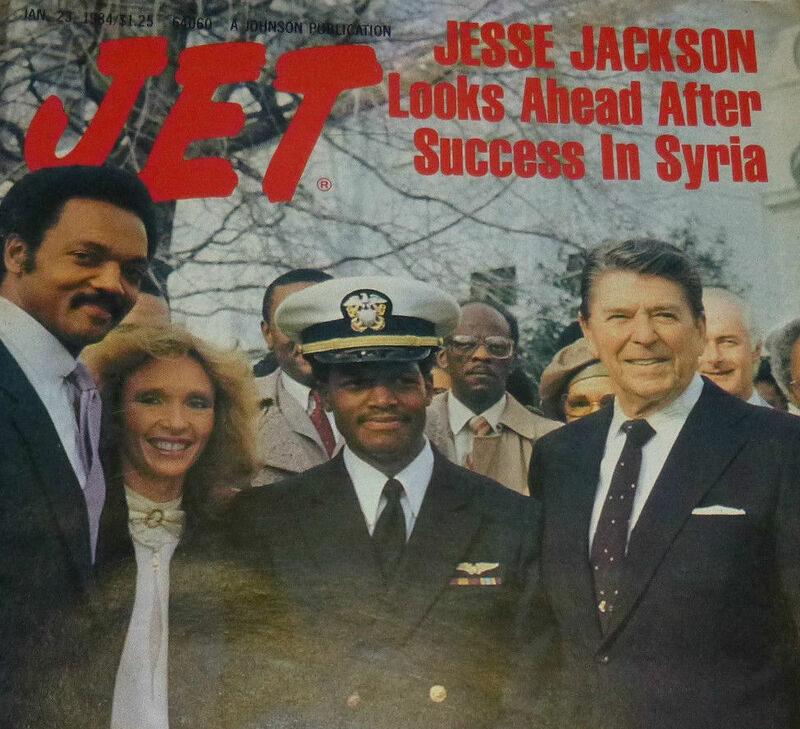 Jesse Jackson, while in the midst of his historic campaign for the presidency, brought a delegation with him to Syria to appeal to President Hafez Al-Assad to release the pilot on humanitarian grounds. And several of those in that delegation attested to The Minister’s “significant and vital role” in freeing the prisoner of war. Chicago attorney Thomas N. Todd said that Minister Farrakhan was a “substantial part of the success” of Mr. Jackson’s Syria mission. 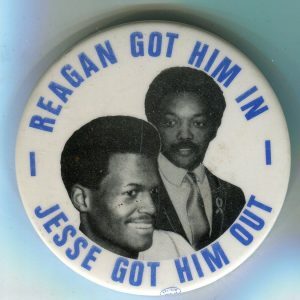 So Farrakhan was not simply at the White House as some bystander: he had actually carried out American foreign policy where the United States government had failed its own captured officer. Now, back to the Jews, who played no role in saving our brother’s life, but an immense role in attacking both Jackson and Farrakhan: Their list of damnable “anti-Semites” who have met with Farrakhan has now been substantially whitened, and now includes two “anti-Semitic” presidents! All of those white men met and shook hands with, thanked, and congratulated The Honorable Minister Louis Farrakhan. Certainly, the publication of this photo of the Reagan–Farrakhan Rose Garden festivities has proved that two white presidents have crossed that Jewish line. Former President Bush is still alive and—just like former President Obama—must answer for his “anti-Semitism.” Who will get to him first—Greenblatt, Dershowitz, Bernstein, or Fleischer? Your Jewish “friends” Greenblatt, Dershowitz, Bernstein, and Fleischer will run like Ussain Bolt to hide from that ugly truth. It is time for Blacks to finally free themselves from this historical deception and these incorrigible deceivers, lest we fall for their tricks yet again. 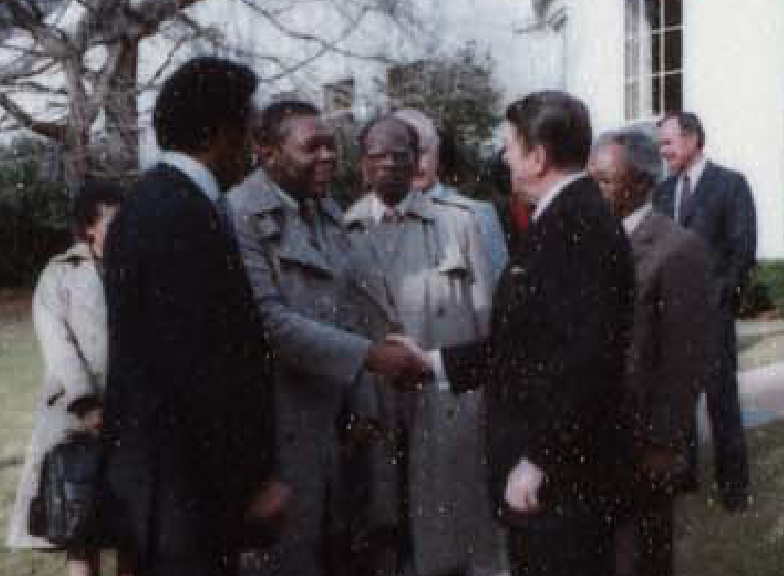 Nation of Islam International representative Abdul Akbar Muhammad shaking hands with President Ronald Reagan. 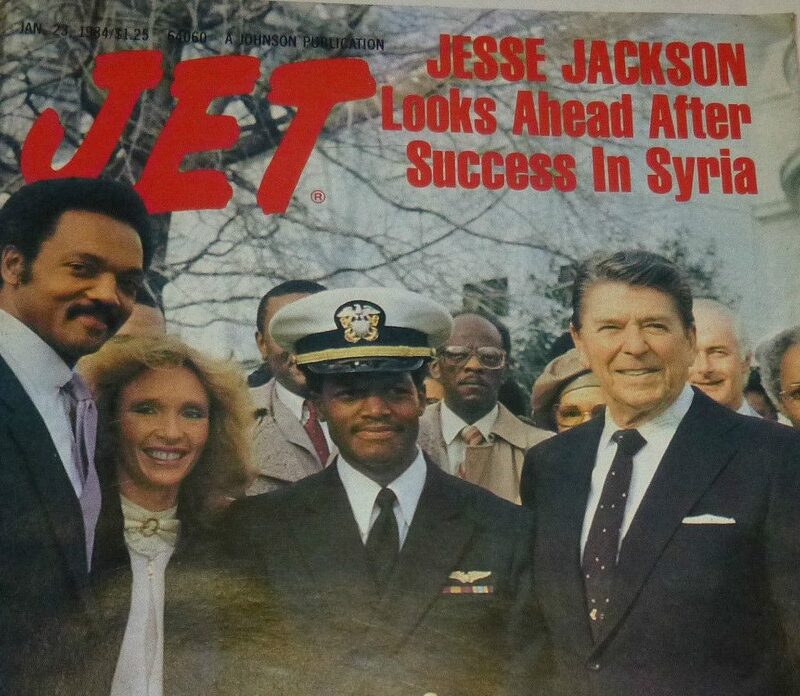 Jet Magazine cover, January 23, 1984.